In this persuasive letter, a middle school student seeks a job at a vet's office. Rusty Silhacek is my neighbor. He thinks you might need help. I’d like to assist with the animals like feeding and bathing them. So I’d love to work with you after school and weekends. Please call at 523-4418 about the job. 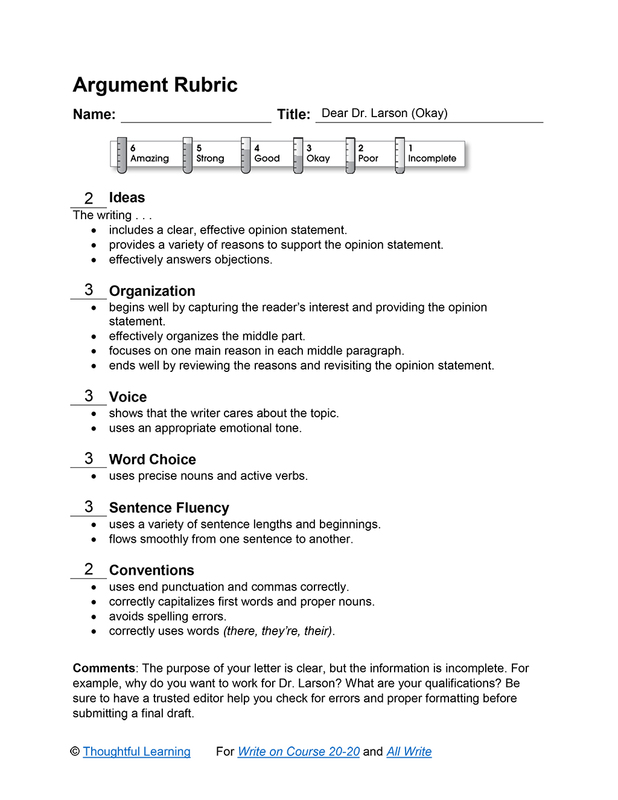 Dear Dr. Larson (Okay) by Thoughtful Learning is licensed under a Creative Commons Attribution-NonCommercial-ShareAlike 4.0 International License. Based on a work at k12.thoughtfullearning.com/assessmentmodels/dear-dr-larson-okay.